It is common for Buildings at Risk to no longer retain their original use, necessitating heritage-led reuse to be created. In the case of Templemore Baths, the situation is the exact opposite. This facility is still in popular use as a swimming pool, making it the only functioning Victorian Baths in Ireland. The Baths are currently still on the Built Heritage at Risk Northern Ireland register, but this status may be about to change with the allocation of a £5 million grant from the National Lottery through the Heritage Lottery Fund towards a £16.8 million project, which will restore, extend and reopen the Templemore Baths as a Belfast City Council leisure facility. The Baths is no stranger to change and adaptation over time, as its establishment rose from the need for the provision of washing facilities in urban areas at a time when cholera and other infectious diseases posed a great danger to life and health. Located in Ballymacarrett in East Belfast, the area was largely industrial based, serving ship building, rope making, machine works and distilling to name a but few. In response to the passing of the Baths and Wash House Act of 1846, the public baths on Templemore Avenue were constructed in 1891, and opened in 1893 as the ‘Ballymacarrett Baths’. The red brick Renaissance style building designed by architect Robert Watt, comprises of a central block flanked by separate entrances, originally first and second class and, later, ladies and men’s, leading firstly to the slipper baths in their cubicles, and to the rear, two large halls for the first and second class swimming pools, with poolside dressing boxes. 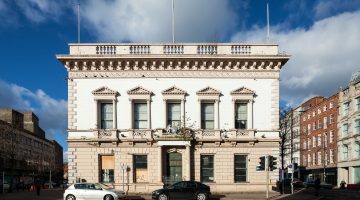 The working relationship between the Templemore Users Trust and Belfast City Council has now realised a positive future for this building, by being both community and heritage led in their approach to retain the historical significance and original architectural features of the building, whilst still providing the facilities for the local people. The baths historic features will be interpreted, and the social heritage connected to the site will be explored and used to tell the story of this much loved, iconic local building. Speaking to Brain Carr , Project Sponsor from Belfast City Council said that “Finding a sustainable use for Templemore Baths has been a goal for Belfast City Council, Templemore Users Trust and the wider community for many years. Our ambitious proposals alongside funding and support from the Heritage Lottery Fund, will see the baths transformed into a fitting leisure facility for people to use and enjoy. 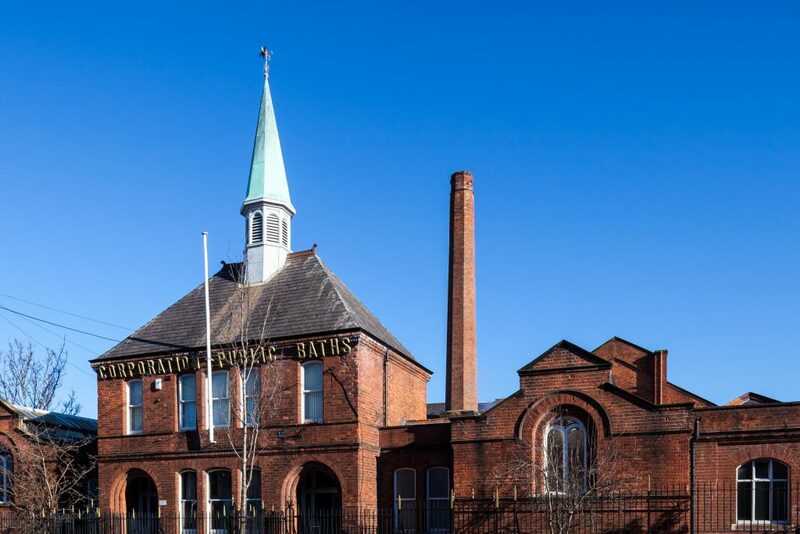 The new project will put the baths at the heart of the community once again, providing a boost to the local economy through the creation of employment and training opportunities whilst safeguarding this historic asset for the future.” This building highlights the significance of local and community input to a project which will further enhance the historic, tree lined, broadway of Templemore Avenue by bringing the Baths back into full use with a conservation led project.